I usually prepare 2-8x8 pans at a time...one for that evening, and the other for the freezer. I will admit, though, I am kind of in a rut with my freezer meals. So I am linking up with Kelly's Korner today in hopes to share something that others might enjoy, as well as, get a few new ideas of my own. One of my favorite meals are these Cheese and Chili Enchiladas. My mother-in-law first made us a similar version of these after we had Grace, and since then, we've been hooked. These are SO easy to prepare, too! -Mix can of chili and rotel in bowl. -Warm tortillas in microwave between 2 moist paper towels just enough to soften them (I usually just do about 6 at a time for about 25-30 seconds). If not, they will break apart as you try to roll them up. -Fill corn tortillas with grated cheddar cheese. Make them as full as you want. Roll them up and place seam down in a greased aluminum pan. You could use 1-13x9 pan or 2-8x8 pans. -Once pan is full- pour the chili/rotel mixture over enchiladas. Cover with more cheddar cheese. -Warm in 350 degree oven for about 30 minutes (until cheese is melted and bubbly). ***If you freeze this and put in oven while still frozen- I would cover with foil and put in 350 degree oven for about 1 hour...then take foil off and leave in for another 20 minutes or so until all cheese is melted and center of pan is warm. Variations: fill these enchiladas with taco meat instead of the cheddar cheese! 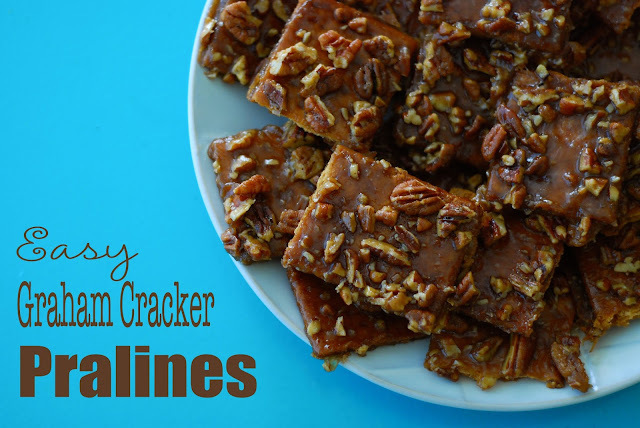 And to go along with these yummy enchiladas.....try making these delicious Easy Graham Cracker Pralines! They seriously take about 15 minutes to make. And are so good. We've had your cheese enchiladas and they were sooooo very good. Tried to duplicate them here at home and they were ok but not as good as yours!